Almost a year after shooting and wounding another, a city man has been brought into police custody in connection with a Main Street shooting that took place in December 2013, according to the Paterson Police Department. Jioni Rosado, 24-year-old, was arrested on Saturday following an investigation into the December shooting that left a 21-year-old wounded in the upper torso, police said. 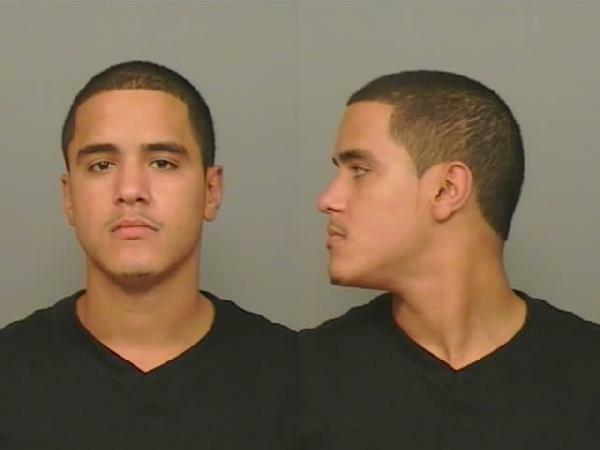 Rosado allegedly wounded the victim after he exited Al Safa Resturant on Main Street at around 5 a.m. on December 28, 2013 and entered his vehicle. The suspect approached the victim with a weapon and fired multiple shots into the vehicle, police said. Detectives Francisco Brito and Dave Tanis identified Rosado as the alleged shooter following a lengthy investigation which led to his arrest by officers David Findlay and Michael Quinones. Findlay and Quinones spotted Rosado on the street and recognized the suspect from a bulletin that was issued earlier, police said. The two officers immediately took the Rosado into custody charging him with attempted murder and weapon possession. After sustaining multiple gunshot wounds the victim attempted to drive himself to St. Joseph’s Regional Medical Center for treatment. “The victim then attempted to drive himself to the hospital, but pulled over in route to the hospital, and was driven the short distance by a friend,” police said.